Because of short supply and extremely high price of raw materials, Protherm, LLC is discontinuing the Series 40 heater line. We will continue to offer replacement elements and insulation for existing heaters. Any requests for new heaters will be directed to our new Series FH heater. 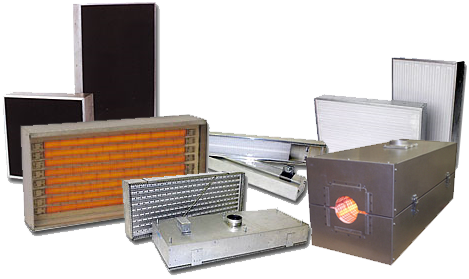 PROTHERM, LLC™ Series 40 Heaters are efficient. Medium wavelength infrared strip heaters designed for general industrial heating application. Operates at temperatures up to 1500 f (2.6 micron-peak). Designs up to 40 watts per square inch. Installed efficiencies exceeding 75% have been proven, reducing energy costs and increasing processing speeds. Heats up to processing temperatures in about 2-4 minutes. Resistive load can be reliably controlled. Adjustable mounting brackets supplied with heater. Highest quality components for long life under continuous use. Faceplate made of high temperature quartz. Length = H.L. + 8.25"
2) All designs are single phase. 3) Special lengths, wattage's, and voltages are available within design limitations. 4) Caution: The heater cases can reach 300° F and should be protected to avoid accidental injury. Click here to view General Instructions and Warnings on the Series 40 Infrared Heaters.